Late last night, Microsoft temporarily stopped delivering Windows 10 version 1809 and Windows Server 2019, both released earlier this week. At this moment, the official download site for Windows 10 has reverted back to version 1803, and Azure Marketplace only offers Windows Server 2016 and older. That said, disappearing personal files is not the only issue making the rounds. Another issue widely discussed online today is that Edge and other UWP applications are unable to connect to the Internet after upgrading to version 1809. According to Microsoft, this issue only occurs if the user has disabled IPv6, and the solution offered is to enable it. For those users still having connection issues after enabling IPv6, the recommended workaround is to switch network status from private to public. In my opinion, Microsoft made a major mistake by skipping the Release Preview phase for both Windows 10 version 1809 and Windows Server 2019. 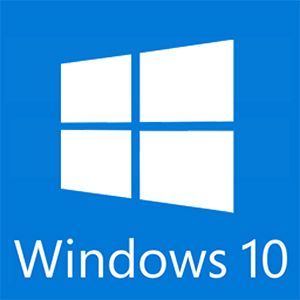 The Windows 10 Release Preview Ring version was released at the same time as the official general availability (GA) release. Likewise, Windows Server 2019 completely skipped Release Preview, and went directly to GA. This means that Microsoft had almost no feedback from end users before releasing final products. If they had taken a few days to give real users a chance to test a Release Preview, all these issues would surely have been noticed and corrected. We will follow this situation as it develops. Stay tuned! The original purpose of Release Preview was to give a heads up on both upgrades and cumulative updates. It is noticeable that since it has been ignored in favour of Ninja Cats and Taco Hats the quality of both have suffered badly. I completely missed that there wasn’t Preview (aka RTM) this time. I have also seen date Oct. 09 as release date so maybe somebody pushed 2nd too fast. Anyway I run only Insider builds (Fast and Skippy) so this one is not affecting me.